We both love computers. In fact, we built our careers around them. And we both share a passion for people and travel. The real head-scratcher was how to combine those interests. After many “are-we-crazy moments” we sold our home, bought an RV, packed up our computers and took to the road. That was in 2003. Since then, we have criss-crossed the United States leading seminars at RV Rallies and helping RVers and RV parks with their computer needs. 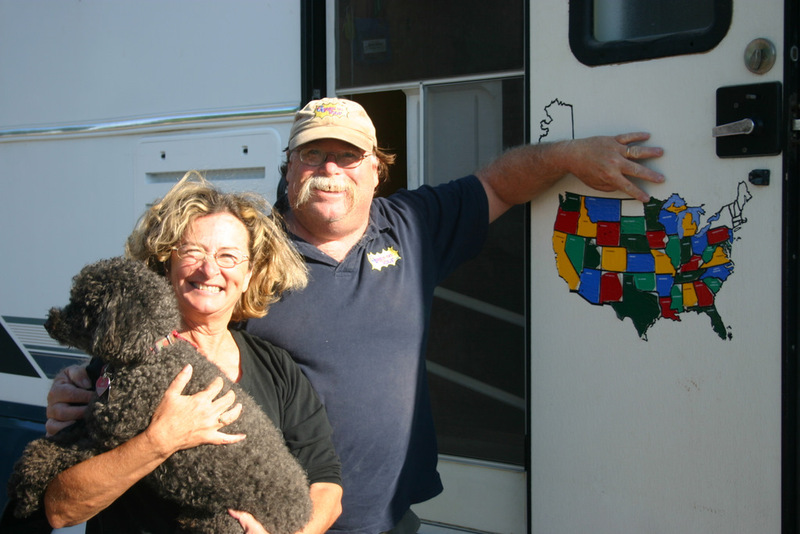 What we’ve come to realize is the information we deliver at our rallies and on our Web site is just as valuable to homebodies as it is to RVers. The Geeks on Tour website is an online classroom for Travelers who want to learn to use their computers for managing digital photos, making blogs, and use maps and other online resources. Anyone can watch our free sample videos, read articles on our Articles and Links Blog, sign up for our free monthly newsletter, or Picasa weekly tips. A small fee makes you a ‘member‘ and you can then view any of our 190+ video tutorials on these subjects. You can also watch an Introductory Video about Geeks on Tour here.